The Association of Scottish Visitor Attractions (ASVA) has announced that visits to its member sites rose dramatically in 2017, the fourth year running that an increase in numbers has been recorded. ASVA, which represents the interests of the key visitor attractions sector in Scotland, has over 450 members comprising some of Scotland’s most popular and iconic castles, galleries, museums, historic houses, heritage sites, wildlife parks, gardens and leisure attractions. Analysis of statistics submitted by 232 of the organisation’s member sites for its annual ‘Visitor Trends Report’ confirms that over 30 million visits were made to those sites in Scotland in 2017, a rise of 9.7% over 2016 figures. 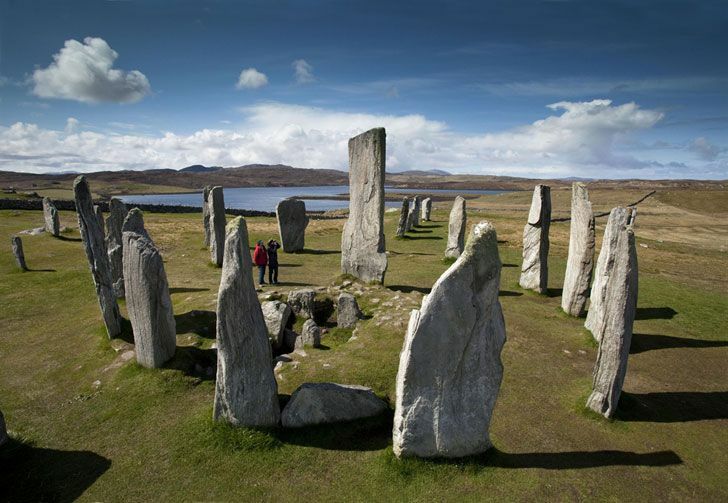 The increase comes on top of a 6% rise in 2016, which itself followed a 3.4% rise in 2015, confirming once again that visitor attractions in Scotland are enjoying a period of sustained growth. The two top sites – The National Museum of Scotland and Edinburgh Castle – each attracted more than 2 million visits, the first time that any visitor attraction in Scotland has surpassed the 2 million milestone. Overall, 77% of attractions reported an increase over 2016 figures, with a significant number noting that 2017 was their ‘best year to date’. Sectors which fared particularly well in 2017 include castles and heritage sites (+14.7%), museums and galleries (+7.5%), gardens (+13.6%) and distilleries/whisky-related attractions (+11.8%). Edinburgh continued to dominate the marketplace, with 11 of the top 20 attractions located in the city. The National Museum of Scotland welcomed the most visitors over this period, while Edinburgh Castle retained its status as the most popular ‘paid’ attraction. Overall, some 59% of all visits were made to attractions that featured in the top 20 list. Another area of Scotland which fared well in 2017 was the Highlands. Inverewe Garden in Wester Ross enjoyed a major uplift in visitor numbers (+110%), driven in part by the popularity of the North Coast 500 touring route. Attractions in the vicinity of Loch Ness, including the medieval fortress of Urquhart Castle and Loch Ness by Jacobite, which offers scenic cruises on the loch, continued to demonstrate above average growth with increases in visitor numbers of 23% and 29% respectively. Both attractions are benefiting from a programme of visits of around 30,000 per year, from a tour operator specialising in the Chinese market. The ‘Outlander’ effect continued to benefit many sites featuring in the cult TV series, as well as others with Jacobite connections, with large increases in visitor numbers recorded at attractions including Culloden Battlefield Visitor Centre (+ 28%), Glasgow Cathedral (+31%), Castle Fraser (+49%) and Glenfinnan Monument (+58%) . Distilleries and whisky-related attractions also enjoyed a successful year, with notable rises recorded at Blair Athol Distillery Visitor Centre (+18%), Caol Ila Distillery Visitor Centre (+32%), Glen Ord Distillery Visitor Centre (+28%) and Kingsbarns Distillery (+30%), while The Scotch Whisky Experience in Edinburgh welcomed 16% more visitors through its doors. Welcoming the figures in ASVA’s 2017 Visitor Trends Report, Cabinet Secretary for Culture, Tourism and External Affairs Fiona Hyslop said:“With Scotland’s iconic tourist sites attracting over 30 million visits, 2017 was another hugely successful year for our world-class visitor attractions. “Tourism is of vital importance to communities throughout Scotland, stimulating economic growth and promoting the importance of our cultural heritage to a wider audience.